On December 26, 1999, about 5 months after the Chinese Communist Party''s crackdown on Falun Gong started, I went to Beijing No. 1 Intermediate People''s Court in Beijing, in an attempt to attend the trial of four Falun Gong practitioners. I was stopped by a police officer on the street, and arrested immediately upon admitting that I was a Falun Gong practitioner. I was then taken by bus to the Shijingshan Stadium. More than 1000 Falun Gong practitioners were arrested in that morning. We were lined up outside the stadium, having our details taken down. When my turn came, the policeman seemed surprised that I had done postgraduate studies and had a master’s degree. From the anti-Falun Gong propaganda, he must have gained the impression that only illiterate, ignorant, stupid and retired old women in the countryside practiced Falun Gong. “Have you read Falun Gong books?” he asked, laying down his pen. “I found universal truths,” I said slowly and clearly, looking him straight in the eye. 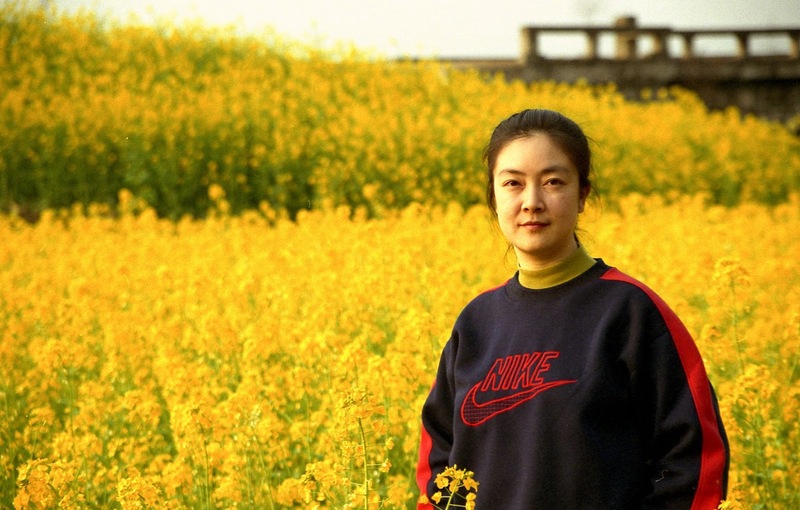 I later wrote about this experience in my memoir “Witnessing History:One woman''s fight for freedom and Falun Gong.” When I posted this chapter of the Chinese version on the internet, I chose this photo, which was taken near my hometown Mianyang City, Sichuan Province, in China, in early 1998, to go with the story. At that time I had been reading Falun Gong books and practicing Falun Gong exercises for several months. I thought the look and especially the expression in my eyes in this photo matched this sentence very well:“I found universal truths.” That’s why I chose this photo.